Eye Am Photography is a Richmond Hill studio that specializes in photographing newborns, babies, children and families. Please view the newborn galleries and call us about discussing your photographic needs. We serve the Toronto and York Region areas as well as Simcoe, Durham and Peel. 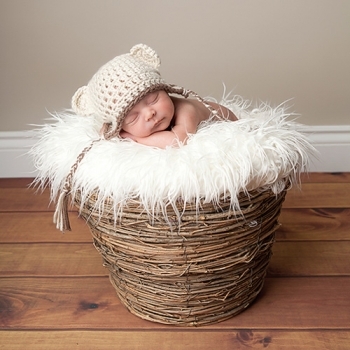 Richmond Hill baby photographer and Aurora newborn photographer. Richmond Hill newborn photographer and Aurora baby photographer. Newmarket newborn photographer and York Region newborn photographer. All images on this site are the property of Anne Mason and Eye Am Photography and are protected by Federal Copyright Laws and may not be used without permission. Newmarket family photographer and Richmond Hill family photographer. If you are looking for a baby photographer to capture your baby's first year, our baby plan is perfect for you. More details can be found on the website in the pricing section or please call 905-882-1459. Anne Mason is an on-location and studio Toronto baby photographer, children, newborn, maternity and family photographer serving the entire area of Toronto, Markham, Richmond Hill, Ajax, Whitby, Vaughan, Scarborough, Oakville, Mississauga, Brampton, Thornhill, Woodbridge, King City, Aurora, Newmarket, Stouffville, North York, Bolton, Nobleton, Kleinburg, Maple, Oak Ridges, Oshawa as well as Durham Region, York Region and Halton Region. Additional travel fees may apply depending how far outside Toronto you are located. Eye Am Photography has a studio in Richmond Hill for those that prefer the studio setting to their home or outdoor location. Whatever your preferred location, Eye Am Photography is a great choice for your Toronto family photographer, as well as newborn, baby, maternity, pregnancy, infant and children photography. Eye Am Photography specializes in photographing newborn, baby, child, maternity, family and pets. If you are looking for creative and fresh photography of your family or children then Eye Am Photography is the perfect fit for you. Eye am Photography is a comfortable home studio located in Richmond Hill just north of Toronto. Serving the areas of King, Newmarket, Aurora, Richmond Hill, Oak Ridges, Markham, Vaughan, Woodbridge, King, Maple, Kleinburg, Bolton and Nobleton as well as many other areas around the Greater Toronto Area. Toronto baby photographer and Aurora family photographer. King City newborn photographer and Toronto family photographer. Our style of photography is emotional and touching. We want you to have memories that you will cherish forever. Children go through so many stages and change so much over the years. Our goal is to provide you with timeless artistic images of your family. King City baby photographer and Toronto newborn photographer. For pregnancy photography the best time to have a session is between 32 and 36 weeks. You should book your maternity session at least one to two months in advance so that you can be sure to get the date you want. At the same time it is best to book your newborn photography session as well. 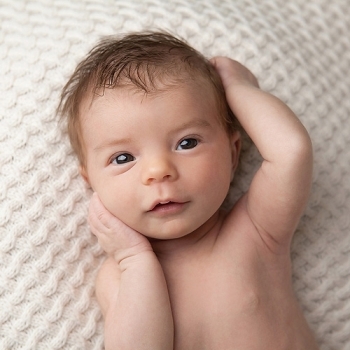 The best time to photograph a newborn baby is between 4 and 14 days of age. The sooner the better. That way you can get all those adorable curled up baby photographs. They are only so young and tiny for such a short time. Ask about our baby plan. Do you want to capture all the stages in your babies' first year? From newborn to toddler, the first year plan is all about firsts. Rather than thinking about ages, we think of the baby's first year in stages. The first stage is being able to hold up their own head. Then they learn to sit, then stand and soon enough they are walking. A favourite for a birthday session is to watch your little one dive into some yummy cake. This makes a great storyboard for your wall. Family photography can be done in your home, outdoors on location or in our studio. It all depends on your style and what appeals to you. When booking your session, our photographer will talk to you about locations and what your preference is for your family photography. All images are shown in black and white as well as colour. This way you have the choice to decide what works best for your style and your home. Children's photographer Anne Mason believes in taking the time necessary for your family. Sessions have no time limit unless it is a mini session. If your children need a break or your baby needs some milk than we take breaks. You never to worry about running out time. Custom photography is all about ensuring that your experience is positive and that all your photographic needs are taken care of. It is about getting to know you and your family so that the true nature of your children can be "Captured with light". Anne Mason is a Toronto newborn photographer, Toronto baby photographer, Toronto maternity photographer, Toronto pregnancy photographer, Toronto family photographer, Toronto children's photographer, Toronto child photographer, and Toronto infant photographer. Her photography specialty is newborn babies, children, families and maternity portraits.If I am not in your area click here for a list of photographers from around the world. I want to give a very special Thank You to some fabulous musicians who have allowed me to use their music on my website. Fisher An amazing group. Just beautiful music. Michelle Featherstone She has such a beautiful voice. Renee and Jeremy I just adore their music. So unique. If you are looking for a baby photographer in Toronto or the surrounding areas please click above to enter the website. The studio is located in Richmond Hill however sessions can take place around Toronto in your home or at an outdoor location. For a newborn photographer in Toronto enjoy the session in your home including Ajax, Pickering, Richmond Hill, Markham, Vaughan, Mississauga, Oakville, Woodbridge, Bolton, Nobleton, King City, Aurora, Newmarket and more. Please contact Anne to photograph your family.